The only hope for breaking the cycle of poverty and oppression present in so many communities in Dominican Republic is a quality education, and without this opportunity many children will walk toward bleak futures. Casa Monte Plata began when Ramon and Juana Prenza saw the great need for education among impoverished children in their area and were moved to start a school. This small beginning eventually gave birth to facilities that now include family-style children’s homes where needy children are nurtured and receive food, education, and spiritual guidance. Loving Christian house parents serve as healthy role models and help them feel safe and secure. The Casa Monte Plata campus opened its fourth home in 2016, as well as an independence home where graduates continue to receive guidance and learn to live without adult supervision. Recent improvements include a new well, computer lab, and improved playground facilities. No facility or program is as important as teaching kids at Monte Plata the joy of knowing and serving the Father who loves them. 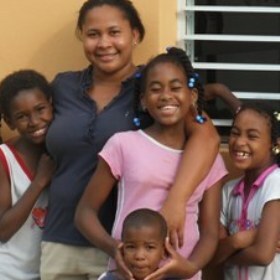 Support the Ministry of Casa Monte Plata Children's Home with Your Gift Today.